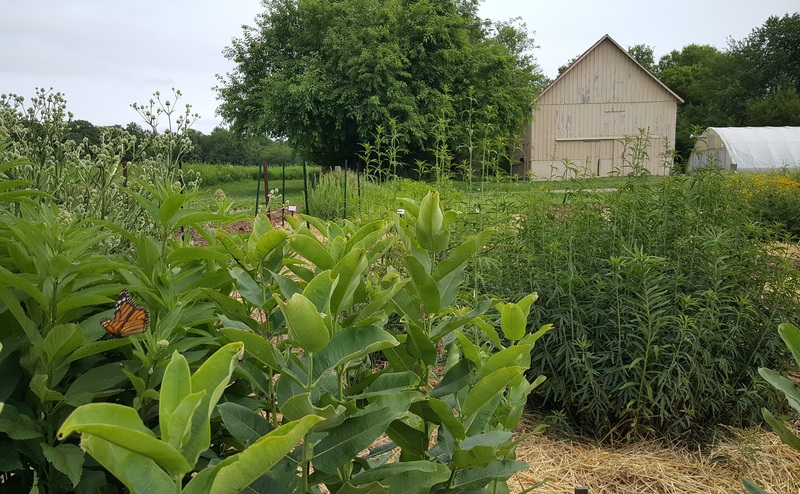 Five years ago, University of Illinois Extension Master Gardener and Master Naturalist volunteers started a demonstration garden to feature sun-loving native plants. 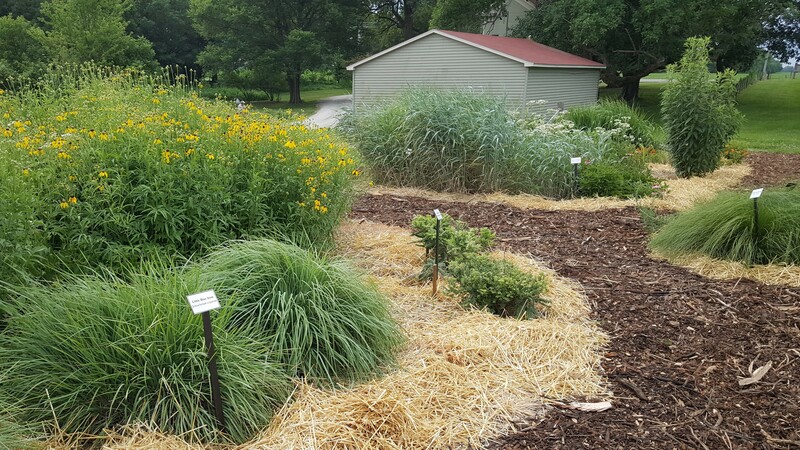 The Native Wildflower Garden (NWG) demonstrates the use of native plants in home landscapes and how these plants are beneficial to pollinators, particularly struggling Monarch butterflies. Fittingly, the NWG is located at Lincoln Memorial Garden's Ostermeier Prairie Center. The garden showcases about 20 different native plants so that visitors can observe their growth habits, bloom and growing habits. Visitors to the garden can observe coneflowers, black-eyed Susan's, several kinds of milkweed, along with less familiar plants like Rattlesnake Master, Wild Quinine and a variety of prairie grasses.Signs identify all plants and garden design brochures are available.The main paths are newly mulched and inviting. Plants that are native to an area are more likely to survive under local conditions. The ability of native plants to survive adverse conditions is due to their extensive root system, ranging from 4 to 15 feet deep. Native plants grow in many different types of soil, they grow well in hot summer temperatures, once established they won't need supplemental watering, and they don't need to be fertilized. 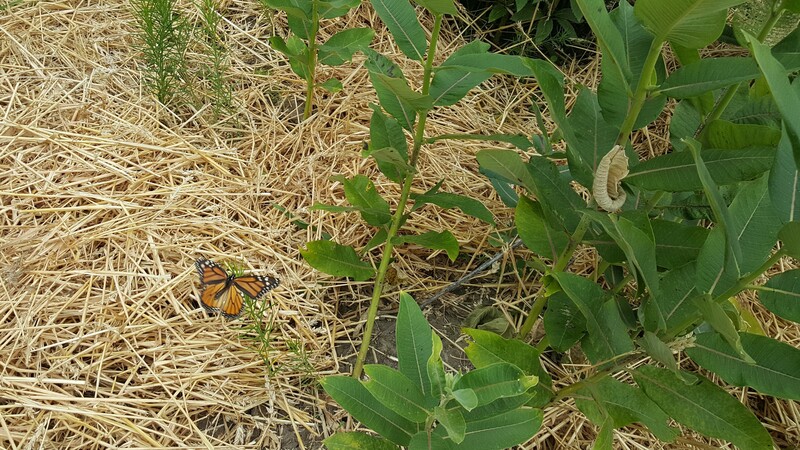 In addition, native plants provide food and shelter for wildlife including insects and birds. Gardeners who grow native plants will find that these plants are easier to care for. Prairies are typically thick masses of forbs and grasses that evolve over time.The plants hold each other up. In the early years of the NWG, the tall natives that were planted in clumps tended to struggle and fall over.After many replantings and some added companion plantings, the Garden has come into its own.Shorter growing plants were placed in front of taller grasses to provide support. 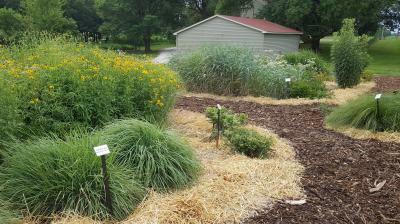 The photos show several views of the Native Wildflower Garden. Next time you are near Lincoln Memorial Garden, please stop in and visit. For more information on native plants and pollinators, contact University of Illinois Extension Logan-Menard-Sangamon Unit at (217) 782-4617.